He is bundled across the Kazakh border to China by Chinese secret police. Chinese President Hu Jintao (R) toasts Kazakhstan President Nursultan Nazarbayev in Beijing, Feb. 22, 2011. Kazakhstan has deported to China an ethnic Uyghur wanted by Beijing for speaking up on torture and death in Chinese jails, placing his life in jeopardy, his lawyer and rights groups said Thursday. Ershidin Israil, 38, had sought sanctuary in Kazakhstan after fleeing his home in the Xinjiang Uyghur Autonomous Region (XUAR) as he was hotly pursued by Chinese authorities who accuse him of "terrorism." Israil, a former history schoolteacher, was granted refugee status by the United Nations, but a court in Kazakhstan, which is a China ally, refused to provide him political asylum. Citing Kazakh authorities, his lawyer, Yuri Sergeivich Stukanov, confirmed that his client was taken across the Kazakhstan-China border to the Xinjiang region. Israil's family members also said that he had been taken to Xinjiang, where he is likely to face harsh punishment in a specific case of informing Radio Free Asia about the death in custody of a fellow Uyghur held by Chinese authorities for alleged involvement in July 2009 riots in Xinjiang's capital Urumqi. Sources said that Israil was taken from the Kazakh border town of Korgas to Urumqi by Chinese state secret police. "The team consists of 12 policemen," one source said in an interview. The source even provided the names of two of the secret police personnel involved in the deportation that took place on Tuesday. On the day when Israil was brought to Korgas, more than 20 Uyghur youths were detained in Suydung [in Chinese, Shuiding] county in Ili prefecture where he had lived previously, according to his relatives. They said they were provided the information by sources who did not elaborate on the links between Israil's deportation and the arrest. U.S. rights group Freedom House on Thursday condemned Kazakhstan's decision to deport Israil even though he was designated a refugee by the office of the U.N. High Commissioner for Refugees (UNHCR). "It is unacceptable that a person who has been accorded refugee status by the UNHCR should be forced to return to a country where he is likely to face harsh treatment and possibly torture,” said David Kramer, executive director of Freedom House. “The Kazakh authorities have an international obligation to grant protection to those who seek refuge in their country, and it has shamefully shirked its duty," he said. Kramer said he wants the U.N. to further investigate Israil’s case and reform its own procedures to more fully protect refugees from such types of situations in the future. "Israil’s deportation highlights a disturbing trend of China’s influence in the region to pressure neighboring governments to repatriate members of persecuted ethnic and religious minorities, despite international legal norms prohibiting the return of an individual to a country where he or she may be tortured," Freedom House said. In April 2009, Pakistan extradited as many as nine Uyghurs to China after accusing them of involvement in “terrorist activities.” Later that year, 20 Uyghur asylum seekers fleeing the crackdown following the ethnic violence in Xinjiang were deported from Cambodia. Their whereabouts are still unknown. "In each instance, Chinese authorities accused the individuals of involvement in terrorist activities, but did not provide evidence to support such claims. In several of the cases, asylum seekers had reportedly revealed details of human rights violations committed by Chinese security forces against the Uyghur community," Freedom House said. The New York-based Human Rights in China (HRIC) group said it was "extremely concerned" over the deportation, slamming Kazakhstan, which together with China are fellow member states of the regional Shanghai Cooperation Organization (SCO). "Deportation of Israil by the authorities of Kazakhstan—which currently holds the rotating presidency of the SCO and will host the upcoming 10th anniversary 'Jubilee Summit' of the organization—raises serious questions about the impact of the SCO framework on respect for human rights," it said. Based on SCO agreements, Kazakhstan is obliged to extradite individuals accused by another member state government of “terrorism,” “separatism,” or “extremism,” and to “prevent the granting of refugee status and corresponding documents” to persons alleged to be involved in offenses related to terrorism, HRIC said. It also called on the international community to demand an accounting by the SCO for Israil's safety, and for the broader human-rights impact of SCO practices, such as denials of asylum and forcible returns. On Sept. 24, 2009, Israil fled on foot to Almaty from Xinjiang, crossing the border without a passport after four nights of walking. Chinese authorities in Ghulja, in Qorghas (in Chinese, Huocheng) county, Ili prefecture had been looking for Israil for allegedly releasing details of the Sept. 18 beating death of Shohret Tursun, according to Israil’s sister-in-law. 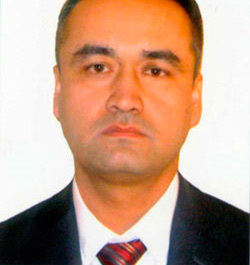 Tursun was detained among a group of about 40 Uyghurs in July 2009 following ethnic riots in Urumqi that left some 200 dead. Tursun's badly bruised and disfigured body was released to his relatives nearly two months later, prompting a standoff between authorities who wanted him buried immediately and family members who refused and demanded an inquiry into whether he had been beaten to death. In a previous interview with Israil, he said he fled his hometown fearing harsh punishment from Chinese authorities as a two-time offender. Israil had previously served a six-year jail sentence in 1999 for "separatism." After meeting with the UNHCR office in Almaty, Israil was granted refugee status in March 2010 and accepted for resettlement in Sweden that April. Xinjiang is a strategically important desert territory that borders Russia, Mongolia, Kazakhstan, Kyrgyzstan, Tajikistan, Afghanistan, and Pakistan. Reported by Shohret Hoshur for RFA’s Uyghur service. Translated by Dolkun Kamberi. Written in English by Parameswaran Ponnudurai.